How do you use my country information? The products on this website are made in various countries. The origin will tell you where the shoes were made. 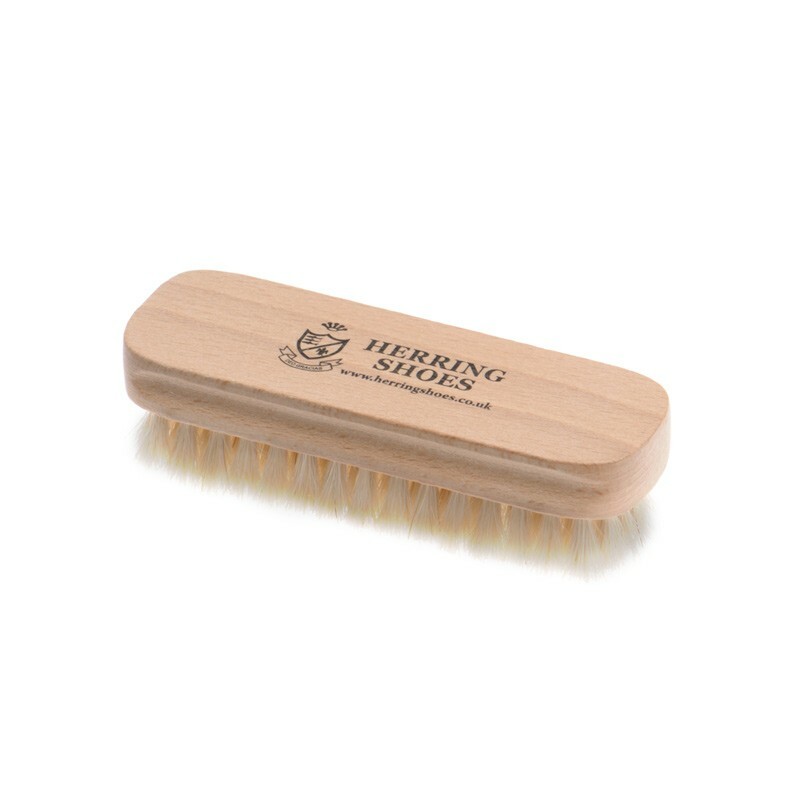 Herring Small Shoe Brush with horsehair bristles is the perfect product to help you keep your shoes in tip-top condition. Measures approximately 125mm long by 40mm deep. 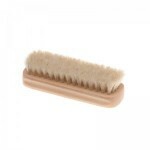 The bristles are about 20mm long. All returned shoes AND boxes must be returned in the same saleable condition as received. Shoes will not be accepted where there are signs of wear on the sole. We suggest trying shoes on carpet only. If for any reason you are not happy with the shoes, simply return them to us within 30 days in their original condition for a full refund less the outward postage. If you want to exchange the shoes we will send out the replacement pair free of postage. If you select the non-standard option of a Royal Mail delivery service you may have to pay different amounts to those shown above, depending on what country you are in and what products and quantities you are ordering. In all cases the delivery will be clearly displayed in your basket before you are asked to provide any personal information. Please note we are also unable to offer the next day services and delivery times will be longer with Royal Mail. Import duties are not Herring Shoes responsibility and we cannot refund any shoes that are returned due to non-payment by the customer of customs duties. UK orders are normally delivered next working day Monday to Friday, if the shoes are in stock and the order is placed before 1pm. Herring shoes are always in stock but other brands may not be. If your order is urgent please call us and check availability before ordering. 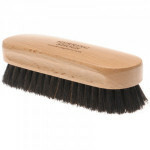 Europe/Outside europe is normally 3-6 days from date of despatch. This size guide is only useful for converting formal shoe sizes from one measurement system to another. If you convert a casual or trainer shoe size, you are unlikely to get a good fit in a formal shoe. Shoes that are made to fit the same size foot will vary in physical size due to differences in last (shoe) shapes. For this reason we cannot measure shoes to fit your feet. US customers need to be aware that UK sizes are different to US sizes. For example, a US size 6 customer should order a UK size 5 or 5.5 as this seems to be the approximate difference we see. Herring Shoes supplies: Church, Churches & Church's Shoes, Herring, Loake, Loakes and Loake's Shoes, Barker & Barker's & Barkers Shoes, Cheaney Shoes, Trickers, Tricker's, Tricker Shoes, Wildsmith Shoes, Alfred Sargent Shoes, Sebago and Saphir shoe care products. HERRING SHOES is a Registered UK Trade Mark of Herring Shoes Limited. Join our mailing list below to enter the competition. The draw takes place at the end of every month.